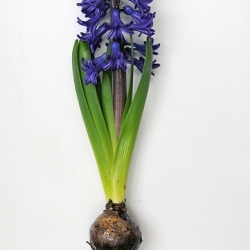 Hyacinths for indoors should first be kept in a dark, cool place (9 °C. or less) until the flower bud is clearly visible. 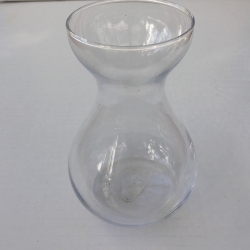 The growing point on the bulb then becomes slightly thinner on the bottom. 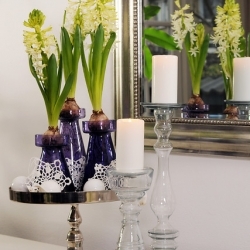 At that point, the bulbs can be placed on a warm and light spot. 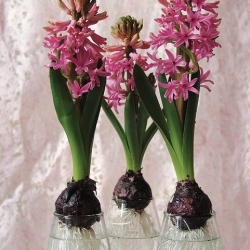 Hyacinths prepared by mid-September will usually reach that point in early December.